I do LOVE to travel oh so very much!! When I had kids it took us quite a few years to get the confidence up to do a trip overseas with them. Once we did I had the family travel bug and we have been going overseas every year with our kids since. In fact this year we are off to Singapore in September for 8 nights which I am super excited about and that will also be our first overseas trip as a family of 5. 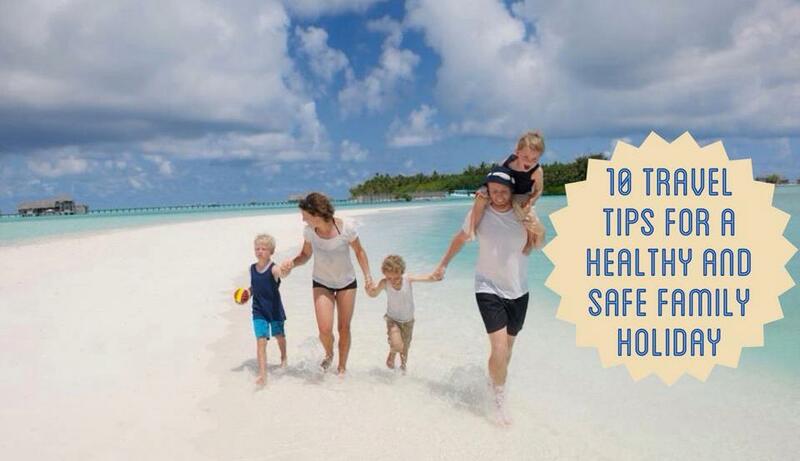 I have learnt a thing or two travelling as a family overseas and thought I would share my top 10 travel tips for a healthy and safe family holiday. 1: Take Some Help If You Can – Travelling with kids is hectic (small children mostly). Super fun and worth the effort but hectic. When Hubby and I first decided to do a big family holiday with our kids we took some backup. The grandparents haha. For us we have a good relationship with our grandparents so having them come along for some fun with the grand kids is great and it also gave us some support and flexibility which is GOLD. 2: Mentally Prepare Yourself For The Getting There and Getting Home Days – Whether it is a car or a plane or a train if there is longish travel involved to get to where you are going this can be the opposite of fun if you have to manage small children lol. I now set the expectation that it is going to be hell and really, really hard work. With that expectation in mind it is generally better than I expected but still really hard work. Worst case scenario is they are screaming for the whole flight (note I have been on lots of flights and still have not come across a child who has screamed an entire flight … more just now and then). If they are screaming on a flight then they would probably be screaming at home so same same but different. 3: Take Photographs Of All of Your Important Travel Documents – I take photos of all of our travel documents, particularly passports, and upload them on the internet somewhere secure in the cloud where I can access them from any computer. I figure if I am overseas and everything I own is stolen from me or for whatever reason I can’t access it someone somewhere will have the internet. If I can get onto the internet then I know I can access digital files of my identity and information which gives me peace of mind. 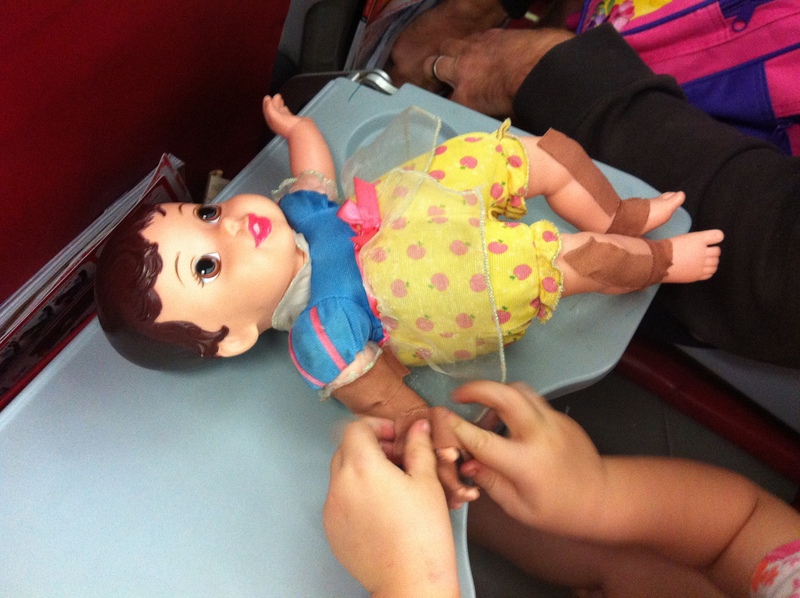 4: Medical Kit – I have learnt that packing a medical kit is a must for any family holiday. For me knowing that I have the basics takes out a layer of stress. I have discovered my kids have had both nits and worms after day 1 of a family holiday so I make sure I have that covered too in my little pack haha. 5: Packet Food – Food can be a stressful thing with kids on holidays at times if you are stuck somewhere and there is nothing on the menu that they will happily eat or that is safe to eat (I have experienced this on an aeroplane for 9 hours). If travelling overseas everything you pack needs to be non-perishable but there are lots of options on the market. Fruit cups, off the shelf cheese sticks, salami sticks, LeSnacks, crackers and the list goes on. I always pack quite a big selection of packet food as backup which has always come in handy. 7: Check In Buddy – I think it is a great idea when travelling (particularly overseas or somewhere more remote) to have a check in buddy. Someone who you contact say every 3 days just to let them know where you are and that everything is ok.
8: Activities Bag – I always pack an activities bag for the kids for those moments when you are stuck somewhere for an unknown period of time and they are over it. 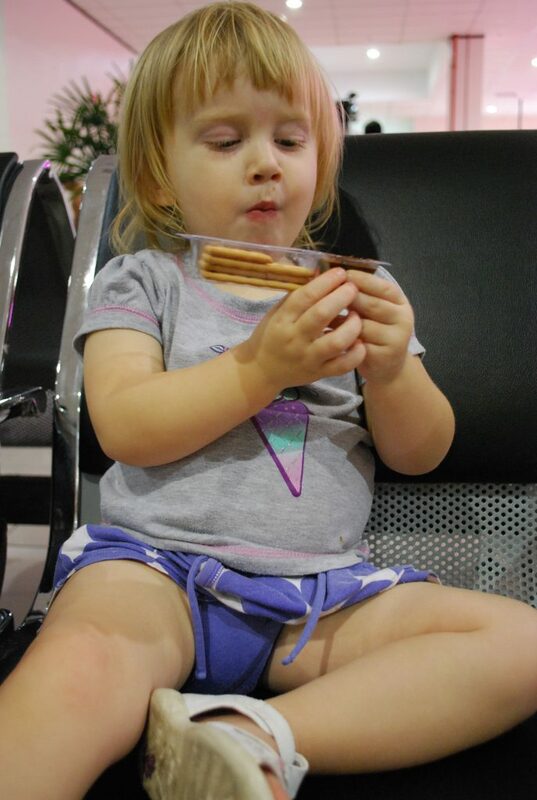 When my youngest daughter was 2 years old we were a few hours off from landing in Aus and she was over it. I remember I had just bought a cheap pack of bandaids so I handed her the pack and she literally spent the next hour or so putting bandaids over her baby doll. Best.Idea.Ever. Stickers, colouring in, an iPad with movies on it or a balloon ball are all options we have used that have worked well in the past. 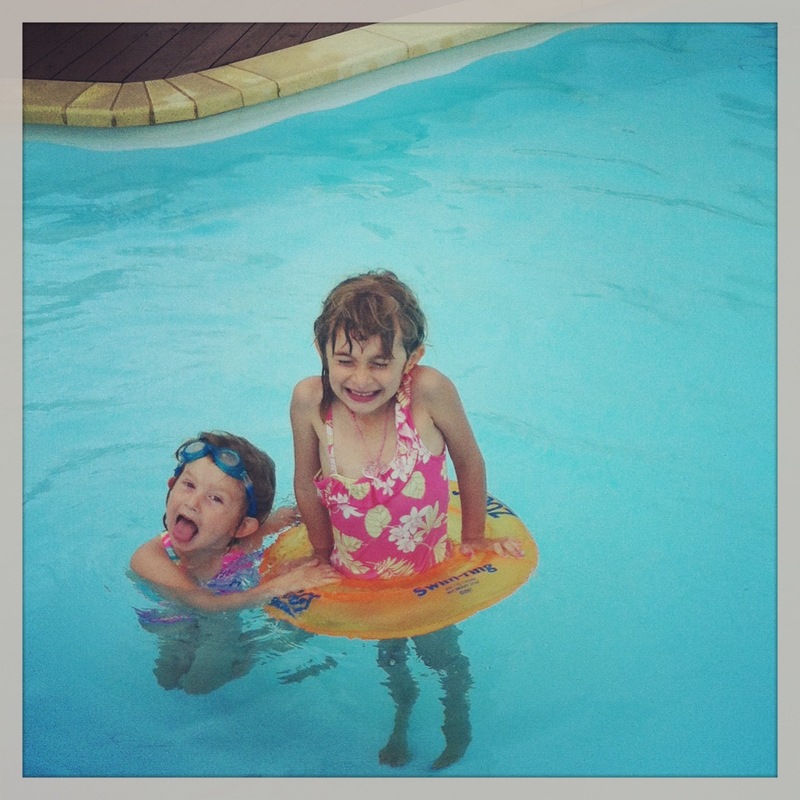 9: Choose Accommodation With A Kid Friendly Pool – One thing hubby and I have learnt about travelling with kids is that it is all about the pool lol. If the accommodation we have organised has a good kid friendly pool then we are sorted. You do spend a bit of downtime at your hotel when travelling with kids because they need to rest between all the action so having a good pool just outside your bedroom door is awesome. 10: Have A Loose Plan Before You Go – I would recommend doing some research and having a loose plan but not structuring your holiday so much that there is no flexibility. You don’t know what you don’t know when you are travelling somewhere new. Find out as much as you can online and book accommodation and create a flexible plan however make sure you create some space for random fun with the family. In our experience this always seems to be the most memorable thing.